If you think 2016 will end with a comet hurtling to Earth and taking the rest of us in one final miserable blow out – you’re actually wrong. 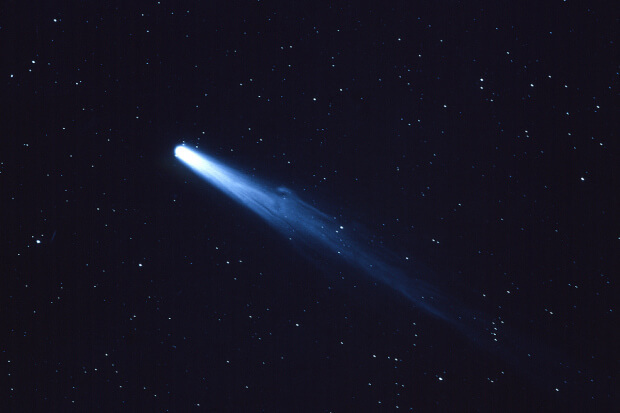 Despite comets usually being seen as bad omens, this one doesn’t pose a threat – in fact, it’s millions of miles away. Comet 45P is set to make an appearance near the moon shortly before 2017. But it won’t be visible to the naked eye. Skywatchers will have their binoculars at the ready to try and spot the celestial object among the fireworks. But this won’t be Comet 45P’s first visit. It actually makes regular orbits of our planet every 5.25 years. Scientists have been tracking its journey, spotting it on December 15 near the star cluster, M75. And this won’t be the only light show in the sky tonight – red Mars will appear much closer to blue-green Neptune, despite them being millions of miles apart. Venus will also be visible, looking like a bright star. What is a comet anyway? A comet is a celestial object made of ice and dust. When it’s near the sun, a ‘tail’ of gas and dust particles can be seen. 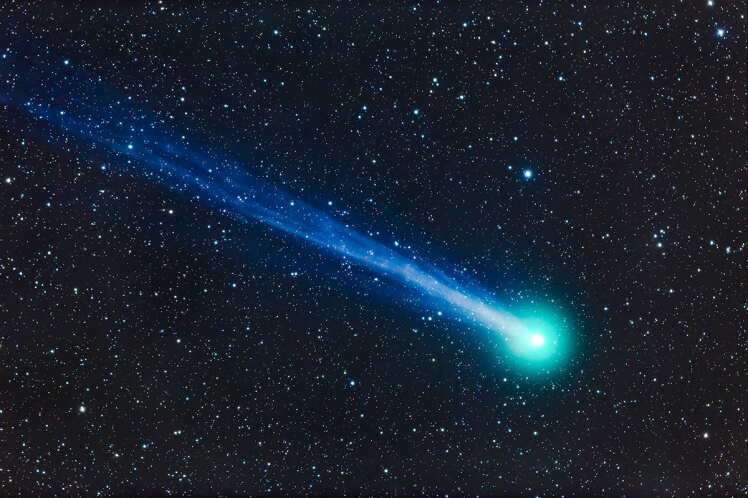 Comet 45P is a periodic comet like Halley’s Comet, which is only seen every 75-76 years.